This will be open to writer and artist residents of Westbeth Center for the Arts. This residency will be offered annually and it is anticipated it will be available for the 4 weeks of September in 2018. Applications will be offered upon completion of renovations. 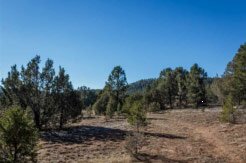 The La Cueva Studio is situated on 10 acres at an altitude of 7,300 feet in the Santa Fe Mountains, near the Pecos Wilderness, yet just a 30 minute drive from Santa Fe’s historic Plaza. The Studio was designed and built by Santa Fe artist Carlos Naumer for potting and painting, and is currently being renovated (photo taken in September) to work appropriately as a residency site by mid-2018. It is anticpated that this solo, hermitical residency willl be offered annually and will be available for the month of July, 2018. Applications will be offered upon completion of renovations.